too COOL to talk to me. IN a sport I’ve just MADE UP. Nat Luurtsema is a stand-up comedian, and the funniest author around. Girl Out of Water is Nat’s first book for teens, and she says Lou is a less mopy, spotty, migrainey version of her as a teenager. Nat lives in South London with her kitten, Margot/Stinkbox. By the time you read this she might be a cat. 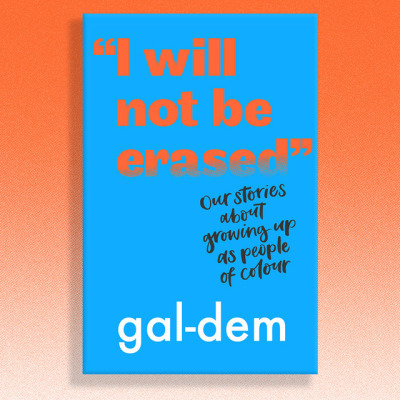 We’re delighted to reveal the cover of I Will Not Be Erased: Our Stories About Growing Up as People of Colour by the team behind gal-dem magazine.